Deborah's Journal: Am I Really A Blogger? Debra Roby had some great thoughts and questions on her blog today. 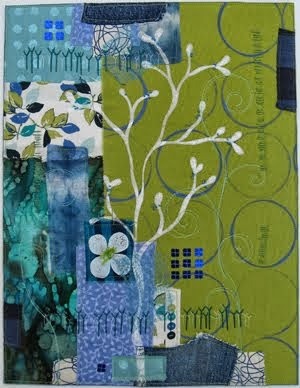 It was mostly about our Artful Quilters Ring. She says she reads through the whole ring every day. Wow! That's a lot of reading. Last I checked, there were 51 of us. I read through the ring every few days. I stopped used the pitiful "next" button. I go straight to the list and just click right on down the list. Of course, there are a few I check every day. Those are the ones that really delight and inspire me. I have a blogrolling list on my blog at the bottom on the right. It is also pitiful. For instance, Southeast Main never makes it to the top of the "new" list though I know there is always something new from June and Jer. In fact, I think I'll delete that list. Besides, there are some blogs in the ring that have not been updated in several weeks. And that's fine with me, but I don't need to have them on my list for now. One thing I'd like to see more of is discussion of big picture topics. Sonji wrote a very interesting post about pricing. I would love to hear what others think about this topic. I'll be writing about it myself soon. Melody's link about How to Be Creative is brilliant. If you took time to read the (very long) link, you've got lots of meat to chew on, so you can tell us how it tastes on your blog. I try to keep of list of topics I'd like to write about. Sometimes I wish I made more time to be really thoughtful, well-written, slightly snarky, and without misspellings and dumb errors. If I set the bar that high, I'd never post anything. And I love the occasional short post about just what's going on -- food, blooming plants, pets, American Idol. You can see my guac recipe below. That's just for fun. What makes a blogger? Well, writing a blog, of course!! However, there are *fluffy* bloggers (like me....sorry, getting *deep* makes my head hurt) and there are the real thinkers. I will try to be a little more insightful NEXT week. Right now I am just not into that. Oh, I used to read thru the entire artful quilters rign every day but I discovered that there are several people who do not update on a regular basis (less than once a week) and a couple that have technical issues for me so I skip these most days. Still, I prefer this to QA at this point. 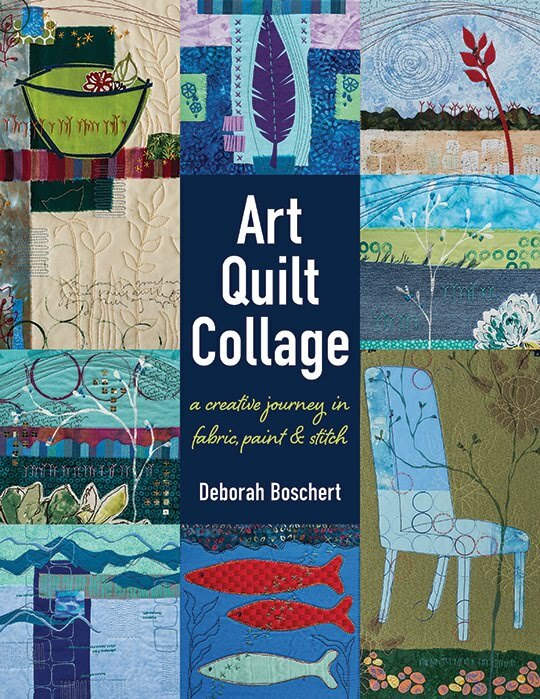 I'm enjoying reading everyone's blogs whether they are deep and introspective, funny and fluffy, off-topic, totally technical and all about quilting with art in mind. I like feeling as if I'm not so different from everybody else. I get to see finished work, in-progress work, beloved and hate-it-I-need-to-chop-it-up work. I'd hate for everyone, who includes it, to have to take out the everyday aspects of their lives that make them unique. I have blogarithm, but usually I've read my fav's before it notifies me. I am trying to read the archives on the blogs that are frequently updated. Often, I will leave a comment. I wish we would all leave more comments and get some dialogue going even more than we do now. I know many people don't have as much time as I do, but who cares if you comment long after the post has been made? Your response is still valid. The QA list makes my head hurt, so I'm with Terry about this being a great ring. I've been reading so many posts lately about fluff vs. not fluff and are people putting that much pressure on themselves, ohmygoodness! I love reading about everyone's everyday fluff stuff as much as I do their art musings. The reason that sites don't show up in blogrolling has to do with how sites get pinged by some services which in turn feed things like blogrolling with "what's newly updated" information. That's a really minimalist explanation about why some sites pop up as "new" and some never do. If you want to know more, go here. If you're using blogger make sure that it's pingable (somewhere in the settings).